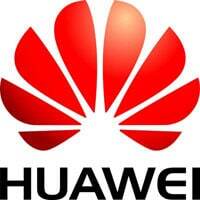 Huawei planning NFC phones? “NFC is going to start taking off this year and integrating the technology into devices is a minor cost,” Victor Xu, chief strategy and marketing officer at Chinese telecomms equipment giant Huawei, has told V3.co.uk. NFC domain names for sale at eBay: A list of 71 NFC-related domain names have been put up for sale on eBay. The names, offered by 555mainstreet, include myNFCwallet.com, whatisNFC.net and yourNFCphone.com. The ‘buy it now’ price is US$2,200. Sequent and Vivotech partner: NFC mobile payments specialist Sequent Software has picked Vivotech to supply it with trusted service manager (TSM) solutions. “Our partnership with Sequent transforms NFC mobile commerce from promise to reality,” said Mohammad Khan, president of Vivotech. US banks debut P2P payment service: Bank of America, Wells Fargo and JP Morgan plan to debut a person-to-person payments service that lets customers send money to each other with an email address or mobile phone number. The service, which will be offered through a joint venture called clearXchange, will pull funds from a customer’s online checking account and send it to another person’s account. Samsung breaks record for Galaxy smartphone sales: Samsung has sold one million Galaxy S II mobile phones in Korea in just 30 days, more than twice as fast as the original Galaxy S took to reach a million sales, IntoMobile reports. 20m European mobile banking users: Some 20 million people across the five leading European markets accessed their bank account via a mobile phone in March 2011. The data from comScore showed the French were the most prolific users of mobile banking with 10.3% of consumers accessing bank accounts through their mobile phones. Spain ranked a close second with 10.2% penetration while Germany, the largest smartphone market in Europe, had the lowest penetration rate of the top five. RFID-tagged theme park to offer next-gen shopping experience: A new retail ‘theme park’, complete with gardens and fully furnished houses, will include RFID tags that will allow visitors to find out information about thousands of household products on display, RFID Journal reports. Main Street America, near Houston, will provided visitors with RFID-enabled Android tablet PCs that can display data and video about each feature. They will be able to use that information to learn more, add items to a shopping cart and make purchases. Framework adds NFC support: Rhodes 3.0, the latest version of the Rhodes open source framework, now supports NFC on Android devices. The Ruby-based framework allows developers to rapidly build native apps for all major smartphone operating systems including iPhone, Android, RIM, Windows Mobile and Windows Phone 7. Guide to EMV now available: A Guide to EMV has been published by EMVCo, the body owned by American Express, JCB, MasterCard and Visa which is responsible for the EMV payments standard. The paper provides an overview of EMV specifications and processes and the role of the technology within the context of the wider payments industry. EMVCo’s latest deployment figures show that 40% of all payments cards and 71% of terminals in circulation globally are based on the EMV standard. US Postal Service launches 2D barcode promotion: The US Postal Service is to launch a 2D barcode promotion which will knock 3% off the cost of standard and first-class mail for businesses that use them on mailing pieces. To qualify for the discount, mobile barcodes must be used to engage with consumers on educational or promotional grounds, rather than for internal tracking or processing purposes, and should link through to information relevant to the mailing. Woolworths Australia to switch to contactless: Australian retailer Woolworths has partnered with Visa to move to contactless card payments for transactions up to AUS$100 across all its retail brands. A request for proposals has been issued for vendors interested in equipping the company’s 30,000 points of sale over the next few months with terminals that can handle Visa payWave transactions.